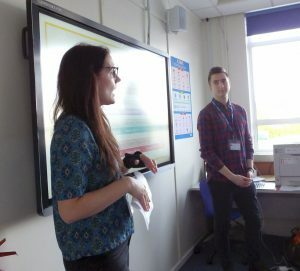 Girls from Year 10 and above have taken part in the BIMA Digital Day 2017 run by Nottingham digital marketing agency ‘Impression’ here at school. The day is a free initiative for both schools and agencies and involved digital professionals going back to school for a day to inspire girls from 13 – 16 years of age, and tell them about the vast array of career opportunities available in the digital field, offering practical advice on how to get into such work. 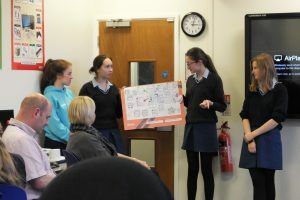 After listening to the inspiring talk, girls went on to compete in groups of 3 -5 in a choice of three tasks which included creating a digital device to make life at school easier, something for a pet and a digital product that you can wear! The winners of the school competition would be put forward into a nationwide competition to be judged by BIMA to crown the Digital Day Champions of 2017. 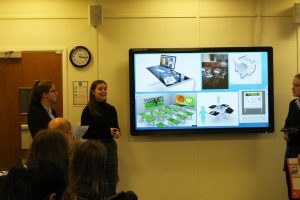 Overall winners were Team Watchdog whose digital invention was designed to monitor all aspects of keeping a pet dog, from its nutritional needs to its exercise regime.